Q. Why do yeast infection symptoms flare up during the pregnancy? Is it safe for pregnant women to take Dr. J’s herbs? Why is it so important to do Herbal Detox during pregnancy? A. Yes, it is very safe for pregnant women to take our herbal formulas, and in fact recommended. I highly recommend the Herbal Detoxprogram (including Yeast-Para Control and Cleansing-Balance Tea) during pregnancy because pregnancy tends to make yeast infections symptoms flare up. Why? Estrogen levels increase during pregnancy, and so does the blood volume. When the blood volume increases, blood sugar also increases. Sugar feeds yeasts and parasites, and the vicious cycle begins. When the pregnant mother is free of yeast infection symptoms, the baby has a better chance to be born healthy. I have several “herb baby” clients. 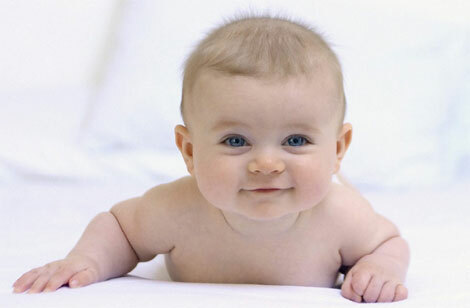 They are healthy, happy, and sleep through the night at an early stage of their infancy. If the pregnant woman has a severe yeast and parasitic infection that is left untreated, the baby could “inherit” yeast infections through the mother’s blood stream and birth canal. Symptoms may include mid or inner ear infections, eye infections, and colic. When intertwined with other factors such as dietary, psychological, and environmental factors, the baby could have Attention Deficit Disorder (ADD) or Attention Deficit Hyperactive Disorder (ADHD). 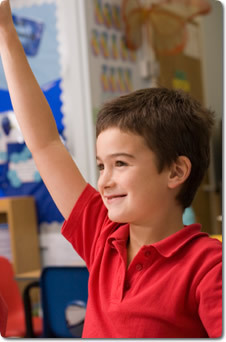 (Please refer to previous articles regarding causes of ADD or ADHD). Although most issues are treatable, it is relatively easier to treat the pregnant mother rather than treating the baby after they are born. In addition to taking Yeast-Para Control and Cleansing-Balance Tea, it is also important for the pregnant woman to follow the yeast-free nutritional program (including no sugar, no dairy, no wheat, no yeast, no alcohol, no caffeine, no nicotine, nor chemicals) and abstain from smoking and drinking to prevent the worsening of yeast and parasitic infection symptoms. To learn what to eat and what to avoid, follow my yeast-free cookbook, Healthy and Tasty: Dr. J’s Anti-Yeast Cooking. For consultation on yeast-free nutrition, herbal detox, hormonal imbalance, weight management, and drug-free holistic treatment for ADD or ADHD, please call us at (800) 715-3053, or send an e-mail to drj@drjsbest.com. Consultation sessions over Skype or the telephone are also available. For more information, visit our website: www.drjsbest.com. A. 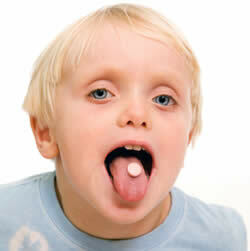 Usually children with ADD or ADHD continue to be on Ritalin or other stimulants into their adult life. 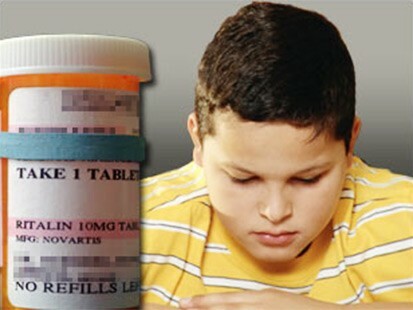 The majority of parents choose to medicate (or overmedicate rather) their children to make everyone’s lives easier. Little do they know that the side effects of Ritalin or other stimulants continue to haunt these children even into adulthood. Some of the common side effects I have observed include nervousness, agitation, sleep disorder, fatigue, arthritis-like aches and pains, excessive mucous, bloating, etc. There are natural remedies for ADD or ADHD. Unfortunately, most parents and treating physicians go for the “quick” or “easy fix” at the expense of the future of these children. A quick fix can actually turn into a long-term nightmare. To get long-lasting results, parents have to be willing to use a drug-free, holistic approach to treating their children’s ADD or ADHD. As a grandparent, perhaps you can suggest incorporating herbal remedies into the treatment regimen and slowly wean your granddaughter from the drugs. Also, by any means, have your granddaughter avoid refined sugar in her diet. I have found that children will actually follow the regimen when their parents cooperate. The decision is in the hands of the parents, not the treating doctors. Perhaps you can introduce your daughter and /or son-in-law to this fan page so that they would have a chance to learn more about drug-free, holistic alternatives to treating your granddaughter’s ADHD. For consultation on yeast-free nutrition, herbal detox, hormonal imbalance, and drug-free, holistic treatment for ADD or ADHD, please call us at (800) 715-3053 or (818) 472-2213, or send an e-mail to drj@drjsbest.com. Consultation sessions over Skype or the telephone are also available. For more information, visit our website: www.drjsbest.com. After working with children and adults with Attention Deficit Disorder (ADD) or (Attention Deficit Hyperactive Disorder (ADHD) for the past three decades, I have found the most common physical factor, which may be shocking to many, is yeast infection involving the inner or middle ears. Dr. Harold Levinson in his book, Total Concentration (1990) states that more than 80% of patients with ADD he has seen suffered from inner-ear infections. He explains in great detail how the inner-ear system or the cerebellar-vestibular system (CVS) controls the flow of sensory information entering the brain. When this system is impaired by infections of the inner ear, your vision, hearing, balance, sense of direction, motion, altitude, depth, and smell, and all motor information leaving the brain can be scrambled. Consequently, this auditory drift results in problems in balance and coordination, concentration, memory, hyperactivity and impulsiveness. In some cases, speech timing is off, which can result in rapid speech, or slow, slurred speech. A malfunctioning inner ear has difficulty processing motor input; this in turn makes the affected individual prone to motion-related phobias such as fear of moving elevators, escalators, cars, planes, trains, buses and crowds. What Dr. Levinson failed to address was what this inner-ear infection is about and what causes it. In my experience, this inner-ear infection is a yeast infection that can be contracted before or after birth. If a pregnant woman has yeast infections, she can give the infections to her baby through the blood stream and/or birth canal. 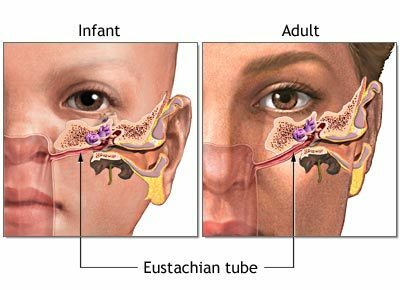 The baby can be born with yeast infections manifesting symptoms such as eye or ear infections, respiratory tract congestion and colic. The goal of successful treatment should be to clear yeast infections from the inner-ear. Our Herbal Detox (Yeast-Para Control and Cleansing-Balance Tea) works wonders to control the yeast overgrowth in the inner-ear. Meanwhile, Male Vitality or Female Vitality improves mental concentration, uplifts the mood, and increases calm energy. In addition to herbal therapy to eradicate the physical causes, it’s also important to adhere to a yeast-free nutritional program containing no sugar, no dairy, no wheat, no yeasts, no caffeine, no nicotine, nor chemicals. It may be difficult to stay off the Standard American Diet which is loaded with yeast-favorite food. So, the first item I place heavy emphasis on is NO SUGAR! Sugar feeds the yeasts instantly, and the overgrowth of yeasts in the inner-ear causes children (or adults) to lose control physically and mentally. To learn what to eat and what to avoid, follow my yeast-free cookbook, Healthy and Tasty: Dr. J’s Anti-Yeast Cooking. For consultation on yeast-free nutrition, herbal detox, hormonal imbalance, weight management, drug-free holistic treatment for ADD or ADHD, please call us at (800) 715-3053, or send an e-mail to drj@drjsbest.com. Consultation sessions over Skype or the telephone are also available. For more information, visit our website: www.drjsbest.com. What Have Been Your Experiences with ADD/ADHD Medication? Recently there have been heated discussions on some Facebook friends’ personal pages regarding the issues of the labeling and overmedication of children. In the past few decades I have worked with children from three years old through adults in their 50’s who had been diagnosed with Attention Deficit Disorder (ADD) or Attention Deficit Hyperactive Disorder (ADHD). Based on my observation and my clients’ reports, stimulants such as ritalin, dexedrine, or cylert were the drugs of choice prescribed by Western medicine. Some swore by it, yet others complained about a long list of side effects such as nervousness, agitation, insomnia, nausea, stomach pains, weight loss, growth retardation, etc. Do you have direct or indirect experience with these stimulants? Are you familiar with any effective drug-free holistic treatment? Please share your experience with us by posting here or on our facebook page. For drug-free, holistic treatment for ADD or ADHD, please contact us at 800-715-3053 or 818-472-2213, or send us an e-mail to drj@drjsbest.com. Consultation also available over Skype or over the phone. A yeast-free nutritional program containing no sugar, dairy, wheat, yeasts, alcohol, caffeine, nicotine nor chemicals works wonders to reduce hyperactivity, poor mental concentration, irritability, moodiness and the other symptoms mentioned above. The logic is very simple: a yeast-free nutritional program reduces the infection in your middle or inner ear. When the yeast infection is under control, the swelling of tissue goes down. This, in turn, allows sensory input to be transmitted from the external environment to your brain without obstacles or blockage. Consequently you can be more receptive and responsive. To learn what to eat and what to avoid, follow the recipes in my yeast-free cookbook, Healthy and Tasty: Dr. J’s Anti-Yeast Cooking. Chinese herbal formulas are also found to be effective in the detoxifying and healing process. The most important formulas to use are the ones that clean up infections in the middle ear and the sinus. When the yeast infection in the middle ear is under control, you will be able to hear better, respond more appropriately, and in most cases, your ear ringing will also go away. Sinus congestion not only blocks sensory input, but also prevents the brain from getting a sufficient supply of oxygen. This, of course, is a double whammy! When the sinus infections are cleared, your mental clarity will also be restored. Yeast-Para Control and Cleansing-Balance Tea are excellent combination in clearing the yeast infections in the mid or inner ear or sinuses. Not every individual with ADD experiences hyperactivity. You might experience low energy and depression. Therefore, additional herbal formulas for uplifting energy and mood are recommended. Male Vitality or Female Vitality is designed to uplift your mood, increase energy, and improve mental concentration. As mentioned earlier, all individuals with Attention Deficit Disorder tend to experience emotional issues that have not been worked through. Either children or adults, it is important for them to identify the core problems contributing to the disorder. Seeking help from experienced therapists dealing with ADD or ADHD is an essential step. If impulsiveness is present, you will need to be in a behavior modification program either on an individual basis or in a group situation. The purpose of these programs is to help you learn to set limits on your behavior and learn a new way to gratify your needs or delay your gratification. You also need to learn how to organize a structured routine that is easy to follow so that your frustration will be reduced to a minimum. People with ADD are often highly intelligent. If you are one of them, don’t give up! You can make a great contribution to society if you learn how to control ADD or ADHD and make the best use of your intelligence! For consultation on yeast-free nutrition, herbal detox, hormonal imbalance, weight control, stress management, and spiritual counseling, please call us at (800) 715-3053 or send an e-mail to drj@drjsbest.com. Consultation sessions over Skype or the telephone are also available. For more information, visit our website: www.drjsbest.com.